Explanation: Sprawling across almost 200 light-years, emission nebula IC 1805 is a mix of glowing interstellar gas and dark dust clouds. 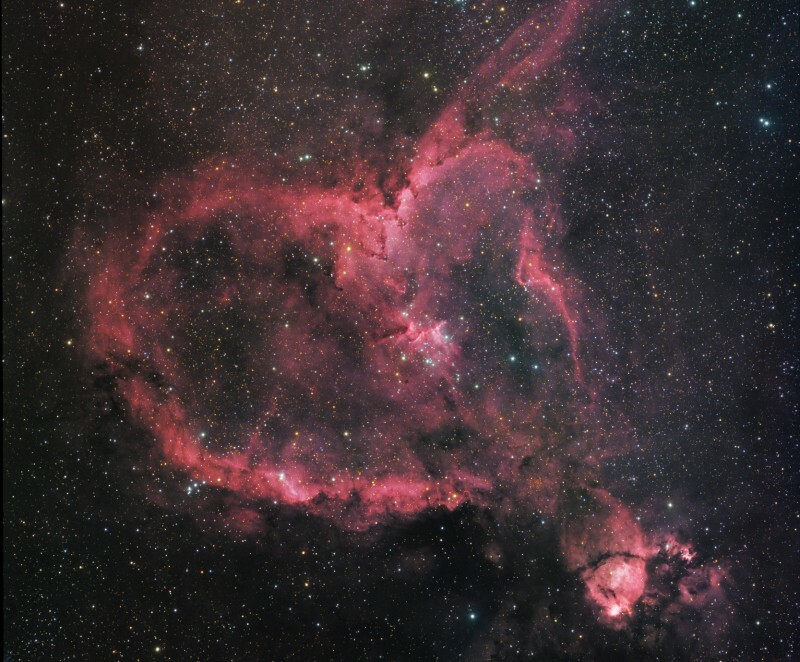 Derived from its Valentine's-Day-approved shape, its nickname is the Heart Nebula. About 7,500 light-years away in the Perseus spiral arm of our galaxy, stars were born in IC 1805. In fact, near the cosmic heart's center are the massive hot stars of a newborn star cluster also known as Melotte 15, about 1.5 million years young. A little ironically, the Heart Nebula is located in the constellation Cassiopeia. From Greek mythology, the northern constellation is named for a vain and boastful queen. 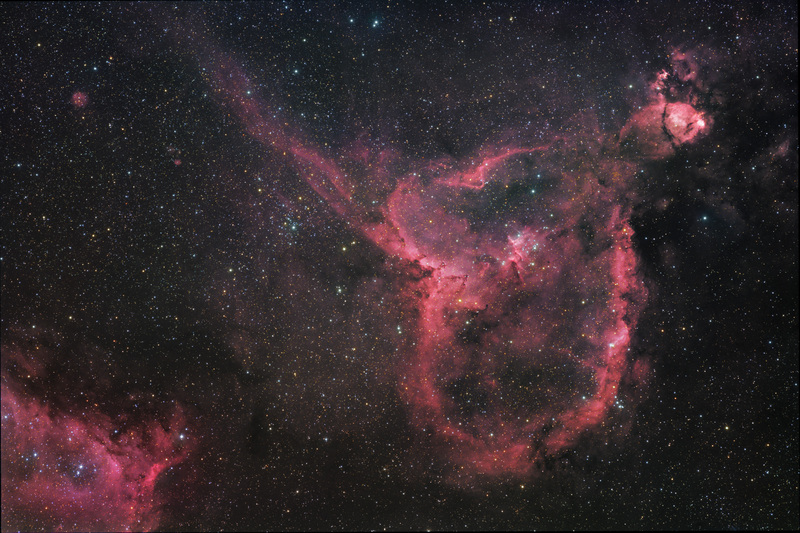 This deep view of the region around the Heart Nebula, cropped from a larger mosaic, spans about 2.5 degrees on the sky or about 5 times the diameter of the Full Moon.